Thousands of characters everywhere and not a word to read! As everybody on the internet is undoubtedly aware, last month Twitter, a platform of which I am rather fond, announced that they are considering expanding their strict 140 character limit to a whopping 10,000 characters. Although the powers that be at Twitter HQ were quick to defend this change as being in the best interest of the micro blogging site’s users, allowing them to communicate more effectively and with greater creativity, the rest of the world was pretty sure the proposed character expansion was a thinly veiled attempt to appease shareholders who have seen the value of their stock plummet in recent months as the number of active tweeters reportedly falls. Sadly, for Twitter HQ, I suppose, their much maligned character adjustment had the exact opposite effect, spawning a heated backlash across the platform and prompting the value of their stock to fall even further. Despite this, it looks as though the change is still going to go ahead giving readers the option to see tweets in their original, concise form or “read on” by clicking a link to an expanded view. Whether this change proves to be positive or negative is yet to be seen and I don’t intend to jump upon the bandwagon of Twitter-bashing here. I do, however, want to address the proposed change as it relates rather powerfully to my use of the platform for the creation of 140-character works of micro fiction. I started writing Twitter stories in or around February 2010 (I can’t be sure of the year off the top of my head and I can’t be bothered to look back and check just now, but I’m reasonably sure it was about then) initially as an experiment – could I write a complete tale, convey a scene, a snippet of plot, character, or perhaps just an emotion with so few resources? It’s a challenge I blogged about here, and the answer is yes, sometimes. 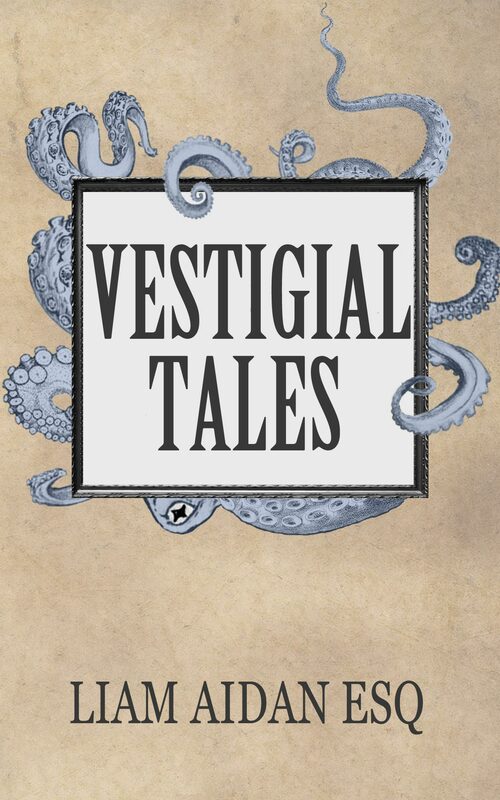 Writing one piece of 140-character micro flash every day means that my output is admittedly hit or miss, but in 2014 I did collect the best ones together into an illustrated ebook called Vestigial Tales which sold atrociously, but of which I am rather proud nonetheless. Flash or micro fiction can be powerful to read and a lot of fun to write, and Twitter is, in my opinion, a wonderful platform for it. I’m not opposed to giving people the option to write more that 140 characters, although I do question the value of it; so long as Twitter leaves the original, shorter option in tact all is good by me. But will anybody read my Tweets? Surely that is the question prompted by the hashtag above, spawned a few weeks after the 10, 000 character fiasco in response to further rumored changes which would see the Twitter timeline approximating something like Facebook, displaying first the “most-popular” Tweets rather than the newer ones, relegating tweeters with few followers to the dark end of timeline obscurity. Needless to say, the Twitterati did not respond favorably to yet another, shareholder oriented change to their platform and soon started declaring Twitter dead via its own trending hashtag system. So not exactly a great start to the year for CEO Jack Dorsey, eh? Unlike the 10, 000 character shift, the popular-tweets-algorithm talk has been addressed by the Twitter high ups, who have assured users that their voices matter and that any changes which may manifest in future, rumored or otherwise, will be optional. There will of course be people who opt in. Heck, perhaps it’ll even be a good thing and I’ll find myself signing up too, but one thing is for sure: should the algorithm be unleashed the act of tweeting will never be the same again. No longer will we (the general tweeting public) be assured that our tweets will be seen by our followers, or even our friends, and on a platform famous for democratizing the act of socializing via media, that strikes me as rather sad. So is twitter really dead? I don’t think so. Flash fiction aside, Twitter’s real strength lies, I believe, in its role as an information aggregator, a expansive list of curated links to all manner of content from all corners of the globe. Furthermore, a large part of the love, for me at least, is in the randomness of it all – retweets, likes, even paid-for promotions sending all sorts of links, stories, comments and creations into my timeline, exposing me to things outside of my normal scope, or even comfort zone. That, in my mind is what makes Twitter greater than Facebook, Snapchat, Instagram, or just about any other social media platform out there. That is what Twitter stands to lose if it employs a probably very clever, even lucrative, but ultimately reductionist algorithm that renders everybody’s timeline an unsightly splattering of Trump and Kanye West. No, for the time being Twitter is still alive but its survival is far from sure. Appreciating the capitalist mechanics of the economy, the fact that we all get to tweet for free and that Twitter somehow needs nonetheless to make money, I am not opposed to innovation, experimentation, and monetization, but it has to come on the same sort of wave of creativity that made Twitter so fresh and appealing in the first place. Although Twitter’s at-the-time much publicized role in sparking the Arab Spring movement across the Middle East is recently being challenged, even tarnished in the face of accusations of terror organizations using the platform to plan atrocities, spread hate, and even recruit, we must not loose faith in the internet’s intrinsic power to level the social playing field. Twitter gives people a voice and it provides them with information. Some voices will be viscous, others never heard and not all of that information shared may be to everyone’s liking, but isn’t that the point of conversation? To expand one’s horizon and share experiences? Twitter gives the hope that each of us, no matter the number of followers, our “popularity”, will nonetheless get to sing. They may take away our 140 character limit, but they will never take our FREEDOM! Or maybe they’ll take that too. I just hope they don’t mess up a very good thing in the process. BOOM: Vestigial Tales has a cover! We’re one step closer to the actual release. This short book of my flash fiction is being published by Legends, the fiction imprint of Ichabod Press and is due to appear in ebook form later this month with a paperback version following in due course. Containing 106 short stories of no more than 140 characters each and lovely original illustrations by Maria Astakhova, I can’t wait to share the finished product with you. Watch this space for more news and, of course, links to the actual book! Hello! Just me, here with a micro-update on on travel and, of course, Vestigial Tales. We’re back from Toronto, where we had a wonderful time and, amongst many other exciting adventures, visited our friend’s new brewery in Guelph! It’s called Royal City Brewing Company and you can read more about it in this recent(ish) article from the Guelph Mercury. The day we we there, they had literally just received their official brewing license from the Ontario government and were hard at work on their first brew. Unfortunately that meant there wasn’t any beer available to taste, but I have heard very good things from friends who tried test samples earlier this year and I am sure it’s only a matter of time before Royal City Brew becomes a popular tipple. If you’re in or near Ontario, be sure to check them out. You can follow them on Twitter here, and on Facebook here. While we were away, I was also emailed the third illustration for Vestigial Tales, and it looks great! I wish I could share them all with you now but I’m just going to have to wait until the book is published later this year. If you haven’t already, please check out the very talented Maria Astakhova whose own blog can be found here. Right, that’s it for now. We’re off to Chicago later this week and California after that. I will throw more web-based ramblings your way when I get the chance. Until then keep doing whatever makes you smile, unless it’s particularly immoral, in which case you might want to practice a little restraint. Huzzah! Following my last post in which I was desperately looking for an illustrator, I am incredibly pleased to announce that I have now found one. Ladies, gentlemen, and those free from such limited binary concepts, please say a big hello to the incredibly talented Maria Astakhova. Maria will be providing illustrations for a dozen of the 106 stories (not 120 as I previously mistakenly stated) that will appear in my flash fiction collection Vestigial Tales when it is published later this year. Kind, highly experienced and really rather good, you can see more of Maria’s work on her blog duckandwhite. I am so excited to have Maria on board and I cannot wait to see her finished work next to the stories. Give her blog a follow and check back here for more updates soon.